Those who know will tell you that emergency preparations must be made BEFORE there is an emergency. That's why the City of Niles encourages it's residents to plan ahead to stay safe during a weather related emergency, an extended electrical outage or other types of emergencies. Be prepared to sustain your family for 3 to 5 days after a major emergency. Whenever you have an opportunity to take a first aid class, emergency preparedness seminar or class -- take it! The more you know the better you will be able to help your family. And the more prepared you are the better chance you have of keeping your family healthy and safe during and after an emergency. Ensure that everyone in the family knows what the plan is, how to accomplish it and where they should be. 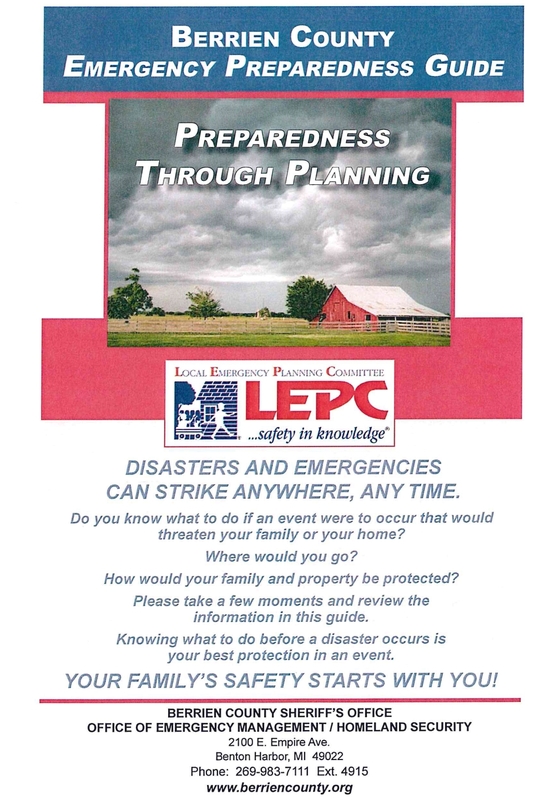 Being prepared may help you save the lives of your family and others. For information on how to plan for an emergency, CLICK one of the photos below to read important information you need to know BEFORE there's an emergency.